Order a subscription and have Athena delivered to your door. 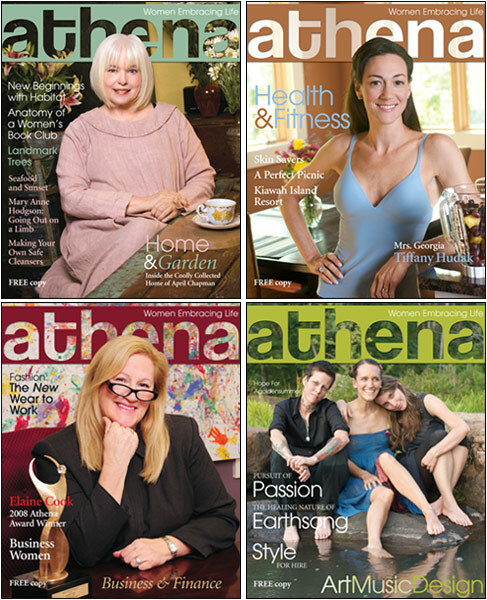 Read inspiring articles about local women plus recipes, travel, entertainment, fitness and more..
Athena magazine is published four times a year and distributed in Athens, GA and surrounding counties. Copyright 2000- Walsh Publishing, Inc.